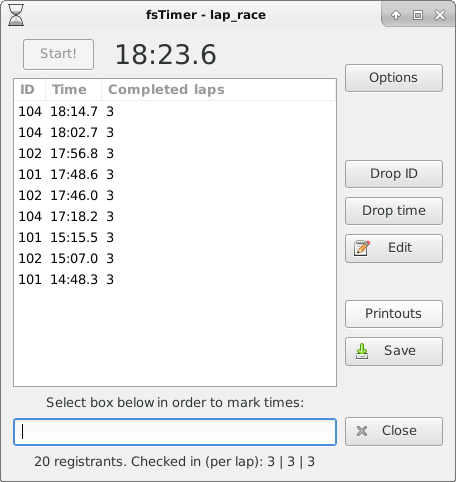 Note that the completed laps column updates all of the entries for an ID, so when racer 101 completed the second lap, the "Completed laps" for the first entry was also updated from 1 to 2. If you edit an entry to have a different ID, the lap counts will not be updated. 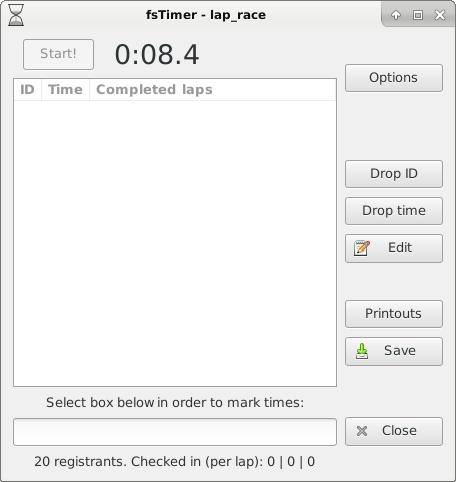 Racers that did not complete the correct number of laps will not have a total time and so will be placed at the end of the results. 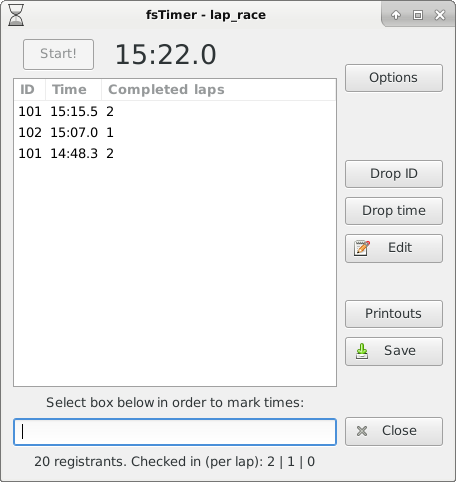 Divisional times are similar, and contain automatically calculated lap times. All of the same tools for editing times from Section 4.5 apply for lap timing. 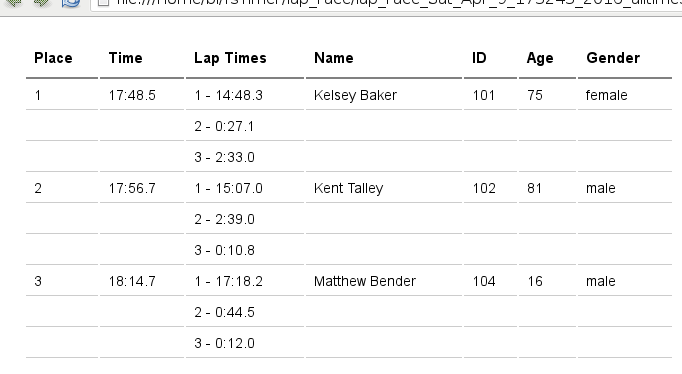 Continue on to Handicap races.